A man who died following a crash in Speyside on Wednesday night has been named by police. 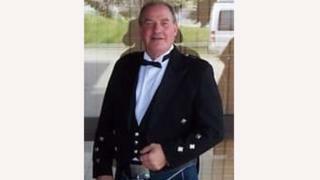 Ian Bremner was 74 and from Strathpeffer. He was driving a grey Citroen Picasso on the A938 near Balnaan, close to Dulnain Bridge, when the car left the road and ended up on its roof. Police Scotland said Mr Bremner was the sole occupant of the car and no other vehicle was involved.